If your magnolia tree stops blooming, there are solutions you can explore that might help the tree begin to blossom once again. If your magnolia tree has never bloomed, you might be in for a long wait. Magnolia trees that are grown from seed might take 15 to 20 years to bloom. 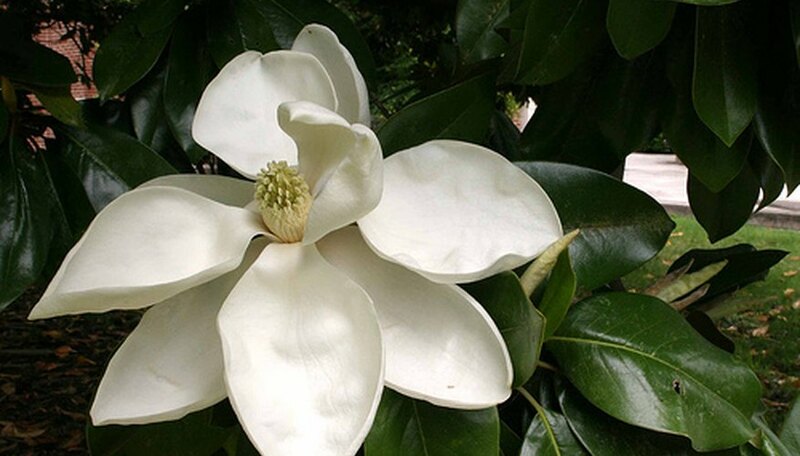 Always plant magnolia trees that are grafts from named cultivars, such as Edith Bogue or Brown Bracken, and even then, it will likely be two or three years after planting before the roots are established enough for the tree to bloom. Have the soil around your tree tested. Nitrogen-rich soil helps magnolia trees produce beautiful vegetation, but might inhibit the amount of blooms the tree produces. You can call your local cooperative extension service to test the soil and determine whether you have too much nitrogen. You might need more phosphorous and other nutrients that will stimulate the roots and help the magnolia tree to produce more flowers. Feed the roots by making 8- to 12-inch-deep holes around the drip line of the tree. Space the holes 6 inches apart. You can use a crowbar or something similar to make holes that are large enough to add the nutrients. Add super phosphate to the holes according to the manufacturer’s directions. You also can use the holes to add any other micronutrients that are recommended based on the results of your soil test. Remove any obstacles that might block the magnolia tree’s sun. Magnolias need at least six hours of full sun each day in order to reach their blooming potential. If you have other vegetation growing between the magnolia tree and direct sunlight, cut it down. Little Gem magnolia trees have been bred to bloom young, before any other cultivar.